Firstly let me stress how easy it is to upholster a chair seat , anyone who can neatly wrap a birthday present can upholster a chair seat. I will be really honest with you I can be quite lazy, if a DIY project takes too long or I find it too complicated I WILL give up so when it comes to DIY projects I keep it quick, simple with a pretty end result. All you need to upholster a chair is good, strong, thick quality fabric. I chose this vintage inspired fabric. I bought 1.5 meters, this was enough to cover six dining chair seats with material spare to cover another. 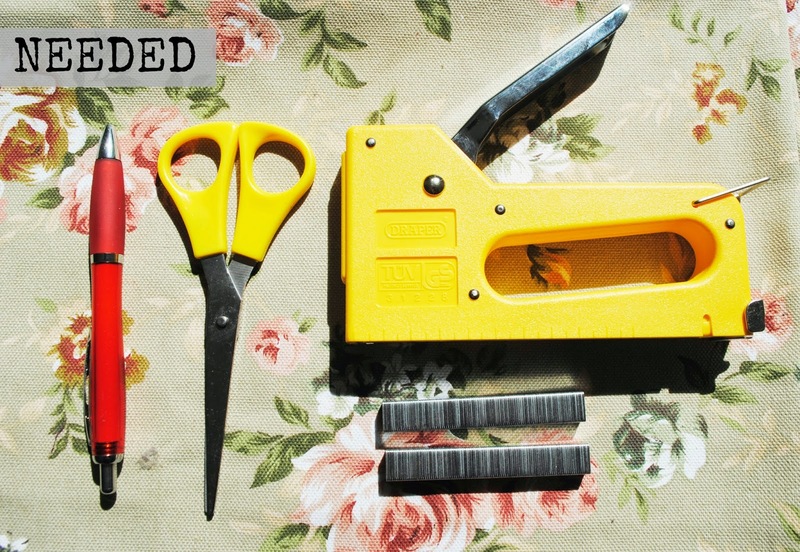 A staple gun and plenty of staples, I bought this simple one from my local DIY store, a pair of scissors (excuse mine, my fabric scissors were packed away but these ones worked fine) and a pencil for tracing (yes I know I used a pen but again the pencils were packed away in boxes) and that is it, you are good to go! First pop the seats out, mine were only held in place by dowels so were really easy to remove. 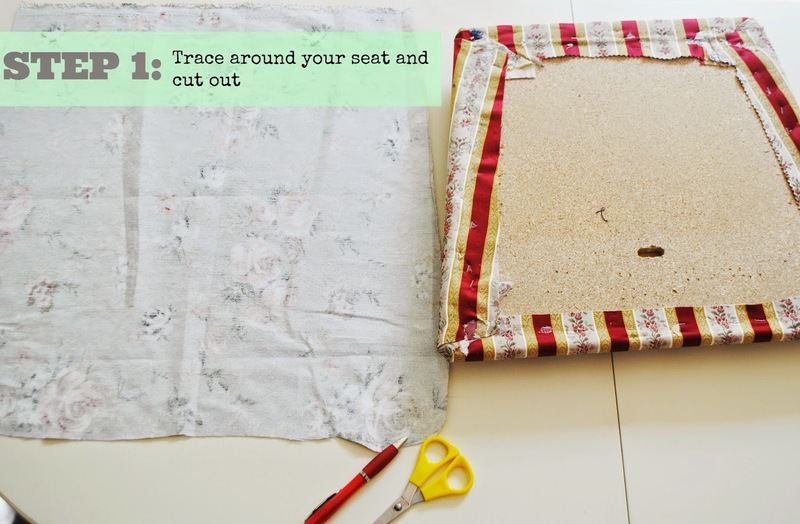 Place the seat upside down and trace around on your fabric, leaving an inch gap for folding over and cut out. As you can see I haven't been neat at all with mine as once it has been placed back on the chair no one will ever know, it can be your own dirty little secret! 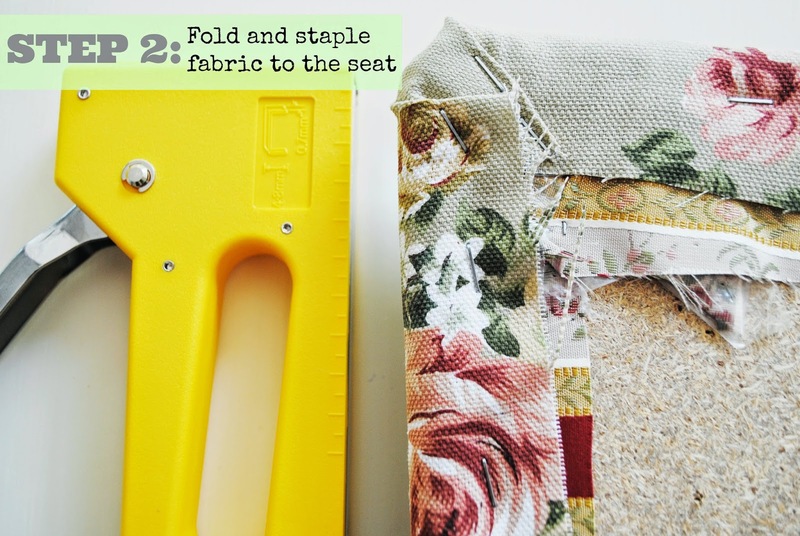 Next fold your fabric and staple on to your chair, I didn't bother removing the old fabric just covered over it, make sure you pull the fabric tightly so there are no creases and don't skimp on the staples, use plenty! 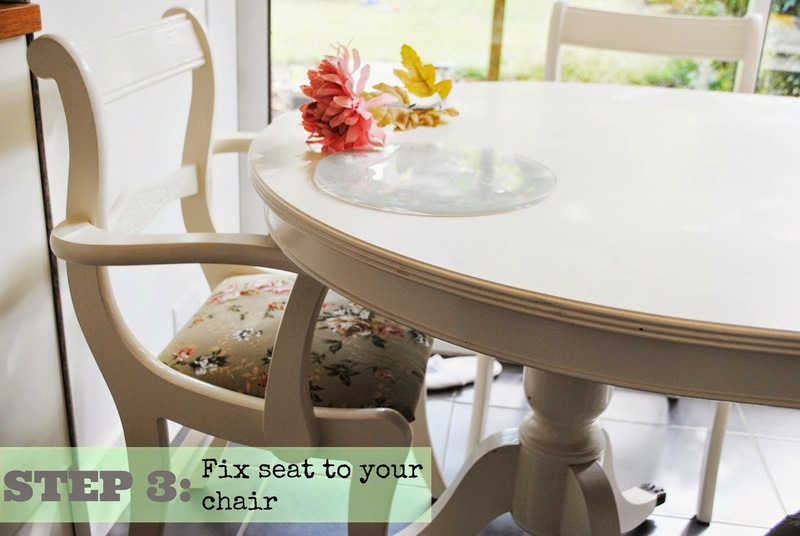 Finally fix your seat back on to your chair and stand back and admire your handy work. 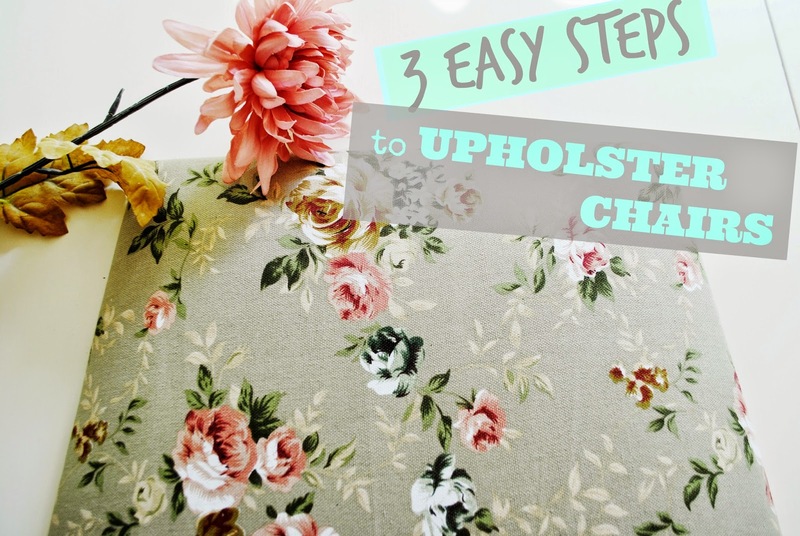 It really is that simple to upholster a chair, I can't believe I haven't done it before. Sunuva Kids UV Swimwear Review and Giveaway!